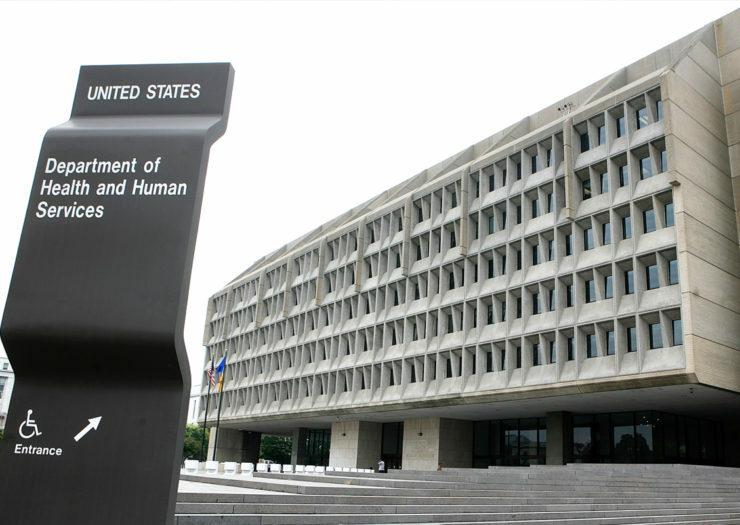 Staff at each of the ten regional Title X offices would be relocated to HHS headquarters in Washington, D.C., consolidating direct control over the program under the deputy assistant secretary of the Office of Population Affairs (OPA), according to a March 22 letter from Azar to Murray to inform her of the planned reorganization. Regional Title X staff would report directly to Department of Health and Human Services (HHS) headquarters in Washington, D.C., instead of one of the ten regional HHS offices, consolidating the control of the department’s Office of Population Affairs (OPA), according to a March 22 letter from Azar to inform Murray of the proposal. The letter also states that the Office for Adolescent Health (OAH), which administers the Teen Pregnancy Prevention Program, would be transferred to the OPA. Murray’s letter challenged the Trump administration’s decision to “effectively eliminate” the Office of Adolescent Health and place “initiatives that have nothing to do with population affairs” under OPA. “The [Office of the Assistant Secretary for Health] reorganization seems to elevate politics and ideology, while deprioritizing programs that serve the public health and communities in need,” she wrote. Murray ended her letter with several questions about what the restructuring means for the programs administered by the potentially reshuffled offices, including whether HHS has received complaints to prompt the changes. “How will the reorganization ensure women and adolescents are being effectively served by the Title X Program and the Teen Pregnancy Prevention Program? What efforts are in place to ensure evidence and science, rather than ideology, dictate the priorities of those programs?” she asks. Azar’s plan would consolidate HHS Deputy Assistant Secretary Diane Foley’s control over Title X and transfer the Teen Pregnancy Prevention Program to her office Foley, who was appointed to lead OPA last May, has an extensive history of anti-choice and abstinence-only advocacy. Before joining the Trump administration, Foley ran Life Network, a Christian organization that operates two Colorado-based “crisis pregnancy centers,” or anti-choice clinics that often lie to patients to persuade them not to have abortions. According to its website, Life Network promotes “life-affirming alternatives to abortion” and is an affiliate of CareNet, which operates one of the largest networks of anti-choice pregnancy centers in the United States. Life Network also offers so-called sexual risk avoidance programming, a rebrand of abstinence-only sexual education, to public middle and high school students. Foley has peddled myths about abortion care and comprehensive sexual education, once suggesting that demonstrating how to put a condom on a banana could be considered “sexually harassing,” according to a Colorado Springs Independent report from 2010. Foley’s expanded control comes amid the Trump administration’s attacks on federal reproductive health policy. A finalized administrative rule banning Title X grant recipients from referring patients for abortion care and requiring providers to physically and financially separate family planning services from their abortion services is set to go into effect on May 4, pending multiple lawsuits. The rule, which reproductive health advocates have dubbed the domestic “gag rule,” also gives Azar the power to personally determine which applicants are eligible for program grants and whether individual grantees are satisfying gag rule requirements, potentially making Foley’s role overseeing regional reporting of the program even more critical. The Trump administration has proposed eliminating the Teen Pregnancy Prevention Program in its last three annual budget proposals. Murray’s letter questioned Azar’s plan to merge the Office of HIV/AIDS and Infectious Disease Policy (OHAIDP) and the National Vaccine Program Office (NVPO) into a newly created office. “The reorganization plan seems to minimize these offices at a time when the issues they address are some of the Department’s stated priorities and are critical public health issues,” she wrote of the consolidation. President Trump in his State of the Union address in early February called for an end to the HIV and AIDS epidemic in the United States by 2020. That was followed by a substantial policy plan from HHS.